If school doesn’t have the answers I need, then who does? I am a college student. I am a gamer. I am an advocate. I am many things. But I’m also a 19-year-old who has experienced unstable housing. When I was 15, I was living with my aunt and going through constant physical and verbal abuse. I was isolated from everyone around me. I had no friends and no one to talk to. I tried every avenue I could think of to get help from the constant struggle I was experiencing every day. No one knew what to tell me. Not even the schools I went to. At every school, I never knew who to talk to, where to go, or what to ask. When I did talk to someone, they just gave me their pity and didn’t have any actual solutions for me. Never once did I hear about 2-1-1 and I didn’t know there were people whose job it was to help me, like the McKinney-Vento Liaisons. These are things that I know now and that I wish I knew when I needed them. 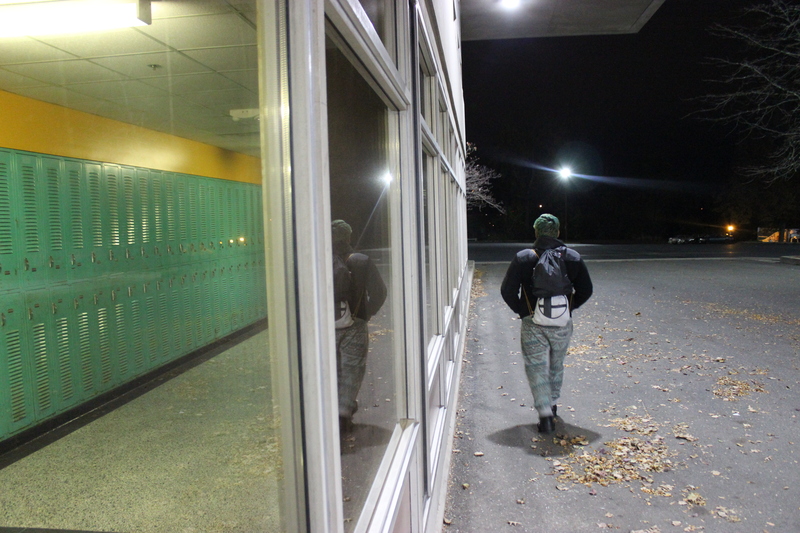 Many nights I would just wander outside the school looking in because I had nowhere else to go. Bio: I’m currently studying to become a Community Psychologist. I hope to continue working with the Youth Action Hub and advocating on behalf of youth, people experiencing homelessness, the LGBTQ+ community, and many more.